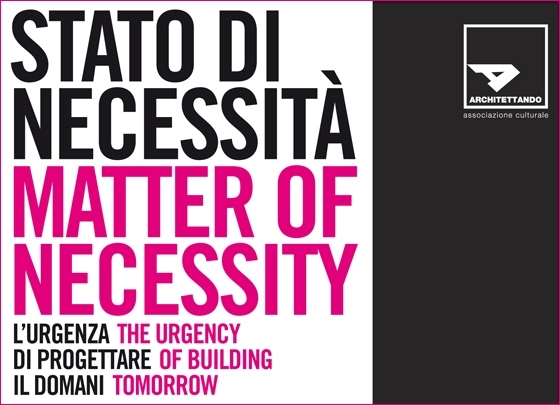 Opening of the 4th Architecture exhibition "State of Necessity - The urgent need to design the future"
Inaugurated Saturday, May 19, 2012, at the facilities of the Praetorian Palace of Cittadella (Padua), the public exhibition "State of Necessity - The urgent need to design the future" on the IV National Festival of Architecture sponsored by "Architettando" Cultural Association. Tomas Ghisellini is among the fifteen Italian designers selected to exhibit a project of Architecture recently built. The exhibition can be visited free of charge, and will be open until July 1st.